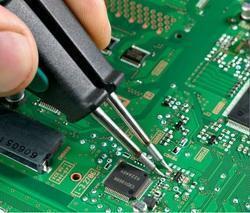 A G Infocomprovides Chip level repair services for any brand of laptop. We have been providing professional repairs, upgrade, and support services. Established in the year 2015 at Kolkata (West Bengal, India), we “AG INFOCOM” are known as the most reputed wholesaler trader and retailer of CCTV Camera, Laptop Accessories and Server Accessories. Our company is Sole Proprietorship (Individual) based company. Under the supervision of our Proprietor, “Amalendu Jana”, we have achieved highest position in industry. We are offering a brand name HP, DELL etc.